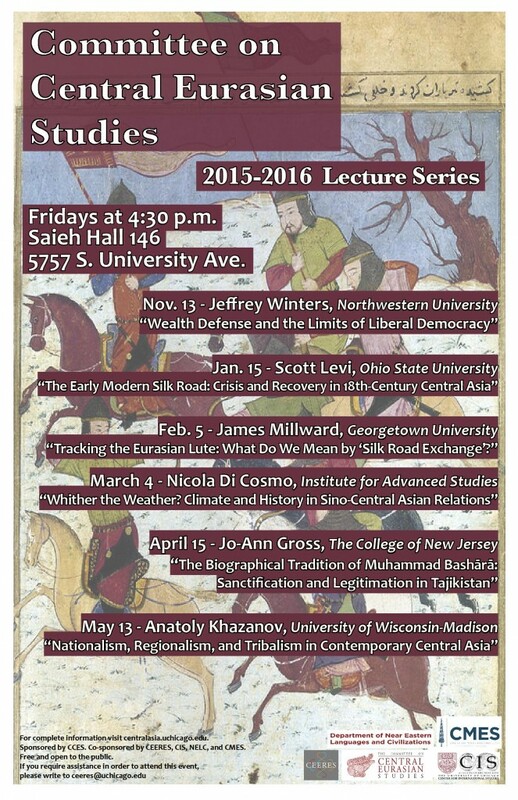 NOTE: Dr. Anatoly Khazanov’s talk has been rescheduled for Autumn Quarter 2016. Check back for further details! This entry was posted in Uncategorized by Claire Roosien. Bookmark the permalink.